So with all that fun great stuff, and the fact that it’s my birthday this month, making me in an even better mood, I wanna do a giveaway!! I have recently discovered how much I love cast iron. I literally gave all my old pots and pans away and have completely converted. It’s just amazing, and I don’t have to worry about any teflon, or any of that crap, getting into my food. I just love it!! So, I figured with this new found love, I’d giveaway a Lodge Color Dutch Oven!! 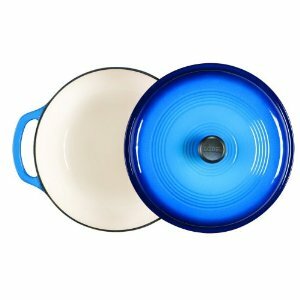 The person that wins this giveaway will get either a Island Spice Red, or Caribbean Blue, 6 Quart Lodge Color Dutch Oven. Your choice on the color!! You have the capability to entering 4 times. 1 for each task completed!! And that’s it!! You can enter a total of 4 times, and you must both, leave a comment as stated in step 4, and live in the United States. It’s just to hard to try and figure out, ok this person just like my Facebook, but didn’t comment. Are they wanting to enter? So please remember to comment 🙂 And Good Luck!! In large pot, or dutch oven, warm oil over medium heat. Add onion, garlic, and jalapeno. 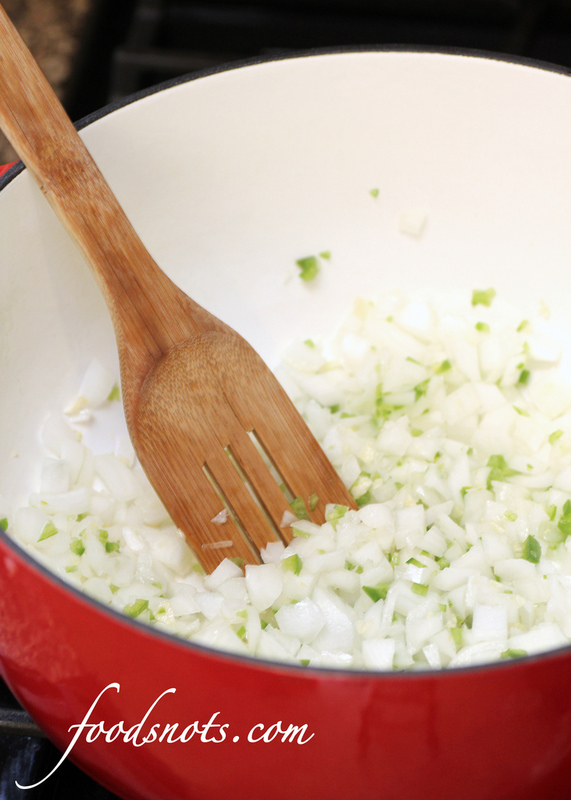 Cook for a couple of minutes, until onions start to turn translucent and garlic becomes fragrant. Turn heat up to high and bring to a hard boil. Boil for 2 minutes. 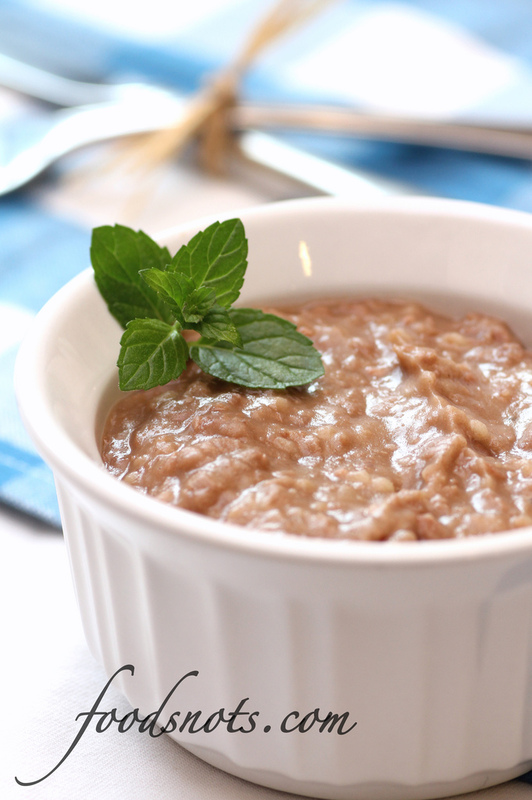 When beans have cooked, uncover and turn off the heat. Let cool for about 5 minutes. 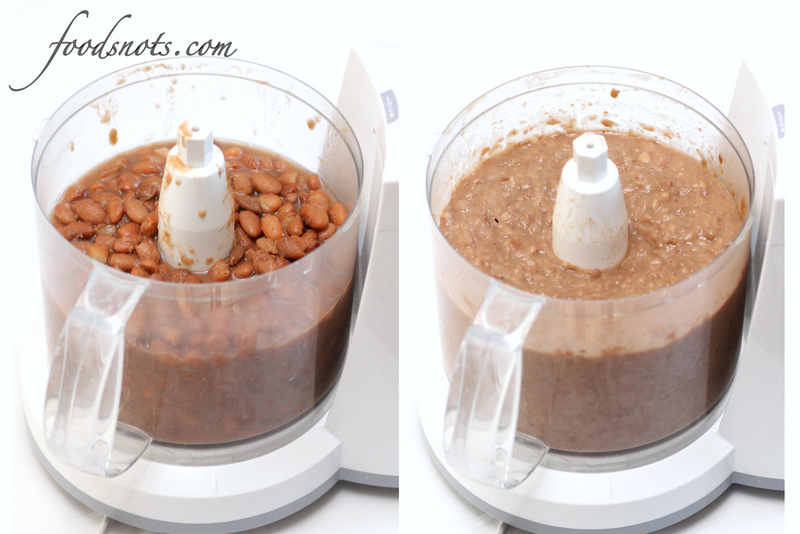 Add cooled beans to a food processor and process until mixture is almost smooth, but still has small bean particles remaining. Serve immediately or store in an air tight container in the refrigerator.